Social Media is definitely here to stay and with statistics like '500 Million active users on Facebook' and 'Facebook recently received more hits in a day than Google', social media as a weapon in your business arsenal is one that can't be ignored. Social Media Marketing is serious business and knowing how to use mainstream Social Media applications like Twitter, LinkedIn, youTube and Facebook to increase your online exposure without damaging your brand, is vital. Peak Consulting is skilled in and encourages all of its clients to embrace, these mainstream forms of social media. Authority is becoming increasingly important. The 2010 Edelman Trust Barometer found that the majority of social media users were most receptive to friends and authorities in given fields. Also, Social Media users are becoming less receptive to overt marketing efforts. Social Media is an important forum within which to spread your business message. 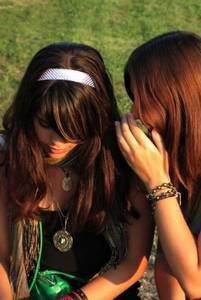 In order to attain authority and relevence you must first join the conversation. Not only must you join in the conversation; you must provide valuable content. Valuable content is informative or entertaining, though some of the most widely shared content incorporates both aspects. Valuable content is NOT a sales pitch. Social Media revolves around community building. It takes time to build a community of loyal followers. However, you must start somewhere. Why not today? Peak Consulting is your Social Media solution. 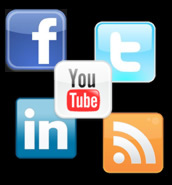 Our internet marketing group specializes in holistic social media strategies. We leverage the best aspects of Facebook, Twitter, Youtube, and blogging. Participating in a variety of social media platforms will help build trust with Google and provide your business with many conversational opportunities. Let Peak Consulting put your business in the middle of the conversation and show you how to build a thriving online community around your brand.